"Hearing Aids are Like Glasses"
"All Hearing Clinics are the Same"
Myth #6: "Nothing's Gonna Change"
​We live in challenging times. There are a great number of people who have lost hope that positive change is possible in our society. Many believe setting lofty goals is foolhardy. Others believe society's issues are problems for others to solve. But, for others, it is hard to be content in a world where there is no hope for positive change. As a consumer advocacy organization, IHCC is enlivened by the prospect of real, positive change in the hearing industry. The more steps we take the more we realize that significant, effective change is achievable. "I'm certain the hearing aid industry will experience change, whether for better or worse. We have a choice. This change will either be driven by informed, progressive efforts or it will be driven by a combination of slapdash regulation, the whims of the market, and the benefit of big business. As a consumer advocate I've worked successfully to facilitate change in other industries. Change is never easy. There's always an accompanying 'unknown' factor for all stakeholders whenever new ideas are proposed. Personally, I fear resisting change more than the prospect of change itself. We've all seen what befalls businesses and individuals who choose to remain passive at best - inflexible at worst - in the face of indisputable change. I prefer, instead, to focus on opportunity. 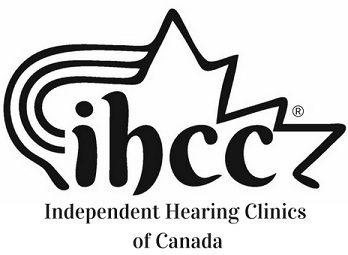 The opportunity IHCC presents is an opportunity to reward and give competitive advantage to deserving hearing clinics while delivering the hearing solutions that will enable clients to live fuller, richer, more connected lives. Our mission is to create a nation-wide network of clinics that share our vision of a win/win proposition for all." Copyright © 2016 INDEPENDENT HEARING CLINICS OF CANADA™, All Rights Reserved.